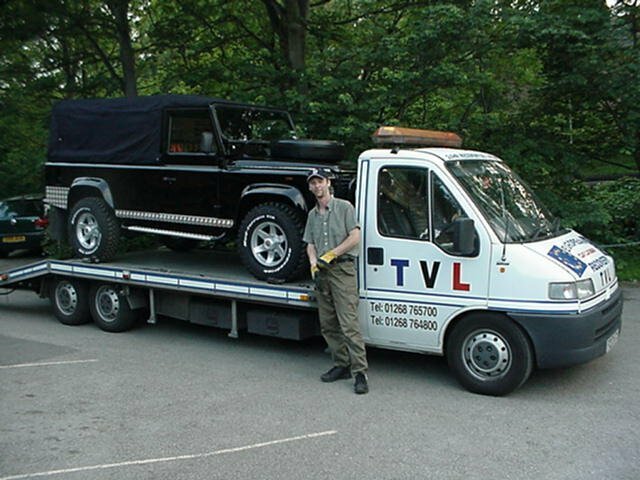 When Richard Hammond approached us in June 2002, he had been requested by a TV company to locate a Land Rover suitable for a castaway-style satellite TV show. There was only a couple of problems – it had to be a 110, it had to be Black, it had to be a V8, it had to be a soft top, and it had to be in Scotland in 7 days time ! 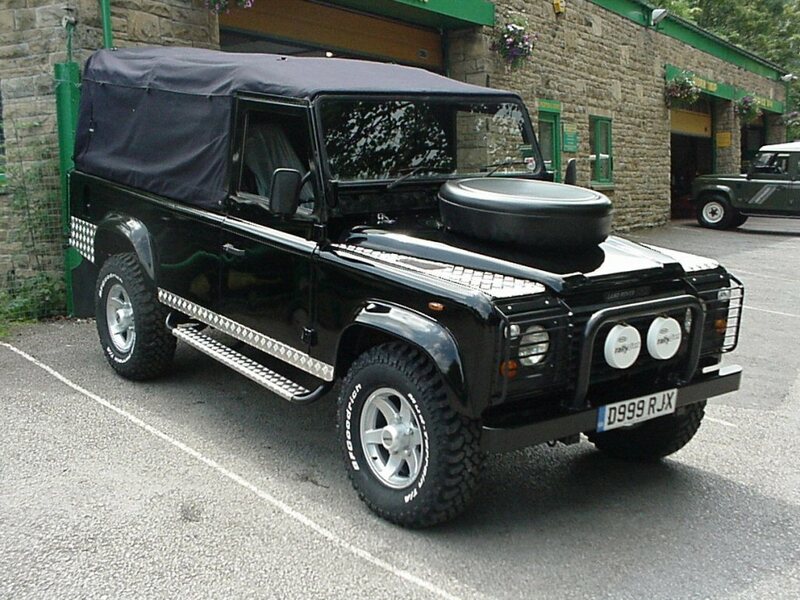 Not too much to ask then ! 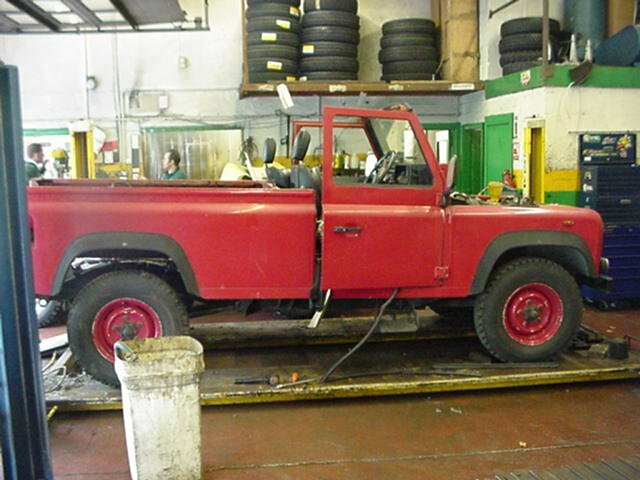 Obviously no such vehicle existed, so he approached us with a request to “build” the required machine. 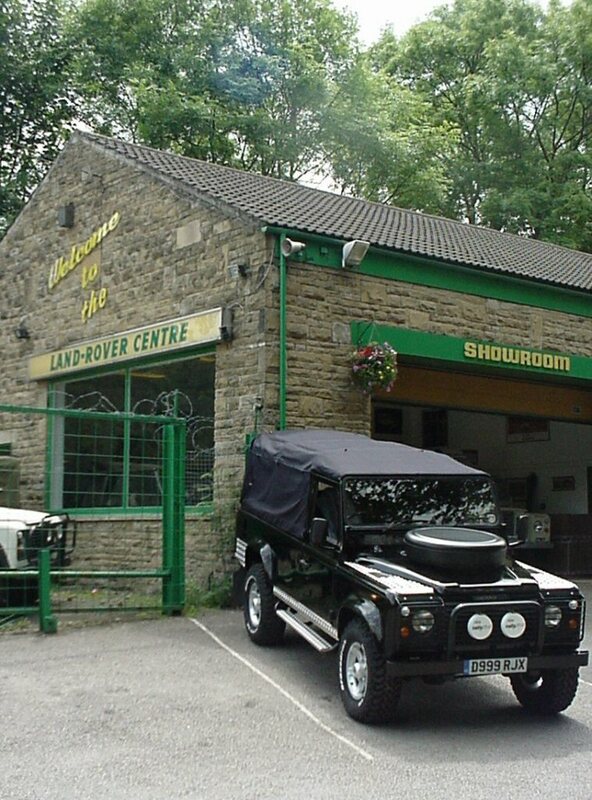 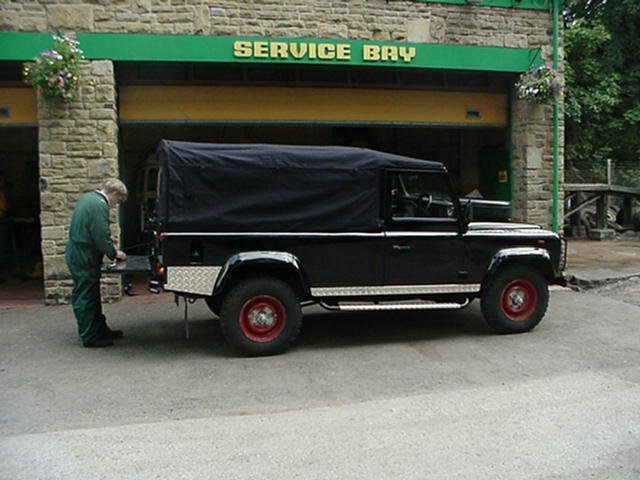 The Land Rover Centre team accepted the challenge and set about locating a suitable donor vehicle and “altering” it as necessary to meet the required specification. 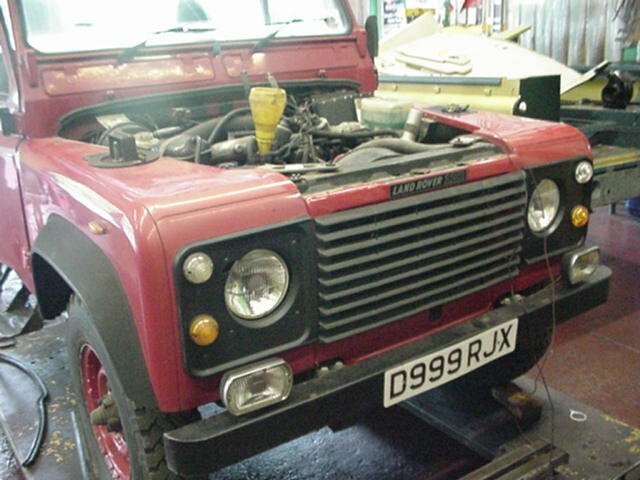 Richard pulled out all the stops at his end and managed to get suppliers to send us some of the parts that would be needed along the way. 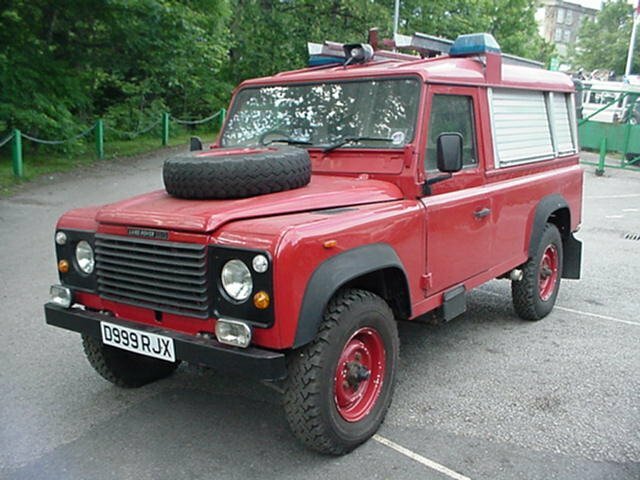 An X-Fire engine was located (note the “999” number plate!) 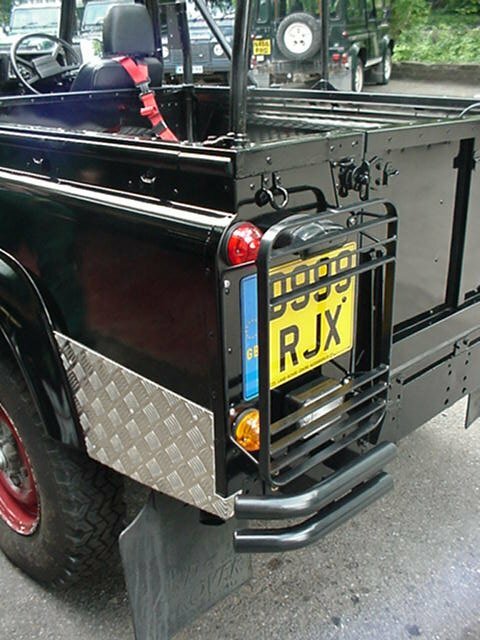 – which was as close to the specification as we could muster. 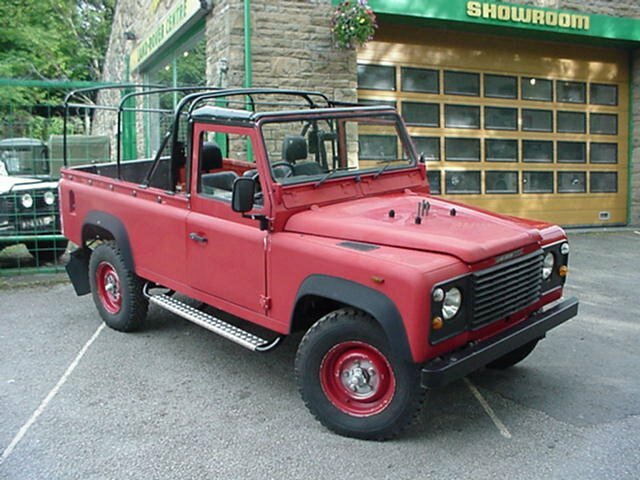 It was a 110 and it was a V8 – the rest would have to be “adapted”. 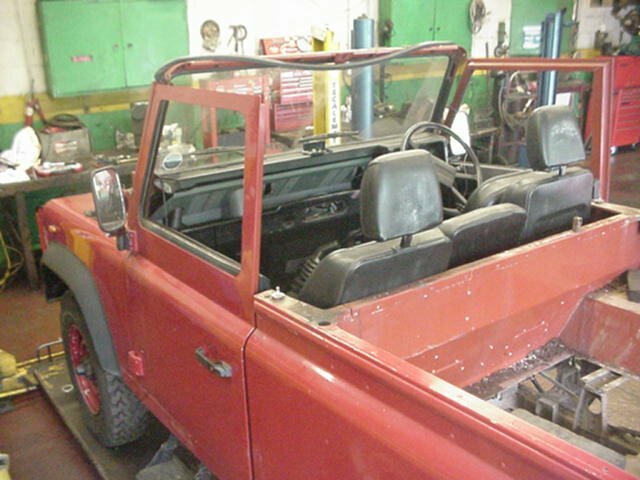 Above you can see the Land Rover in its original form, and then with the hard top, shutters and internal tanks and pumps removed – a days work in itself ! 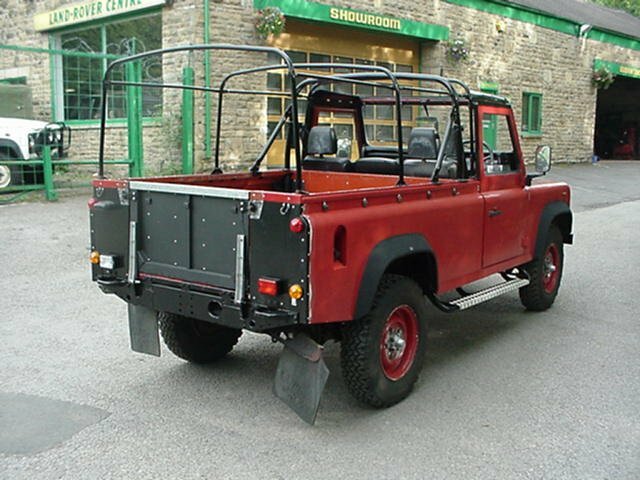 Once all the “Fire Engine” equipment had been removed, we had to fit the soft top kit, tailgate, and service the Land Rover. 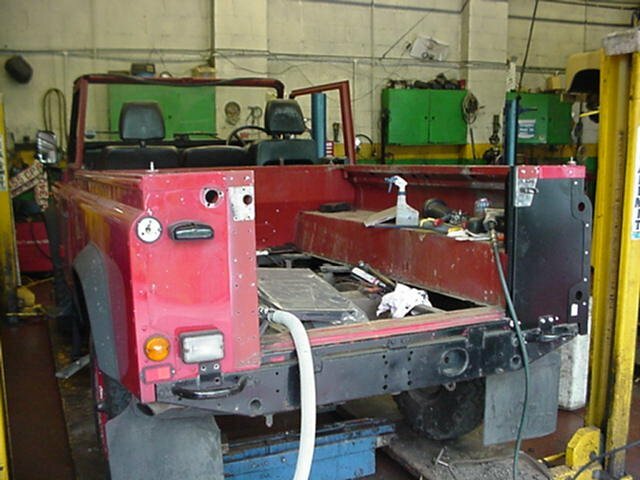 Above we can see the Land Rover stripped, ready to receive the soft top poles. 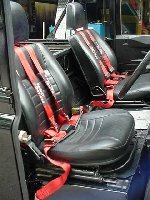 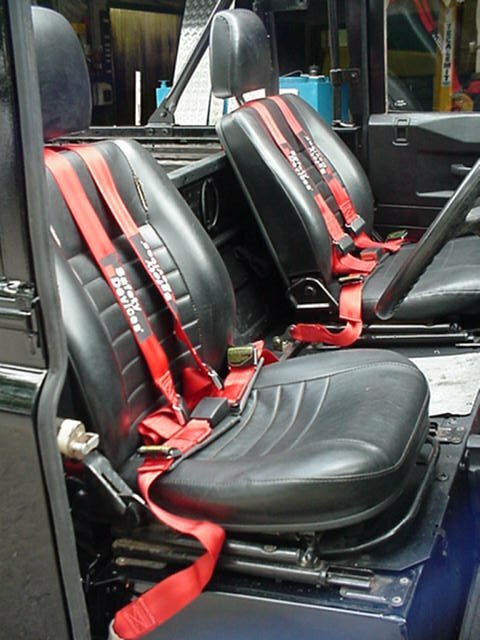 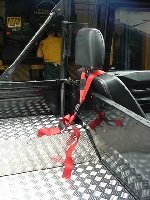 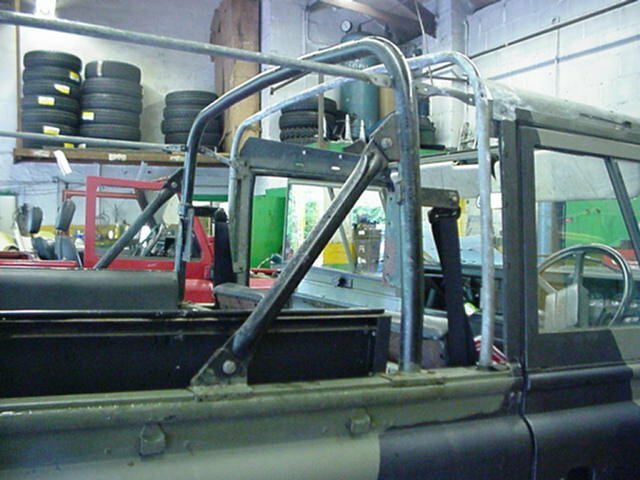 We used a set from an X-MOD vehicle which included a roll bar. 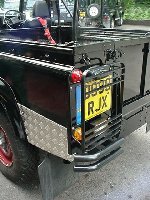 You can also see that above – parts had started to arrive – the new tailgate. 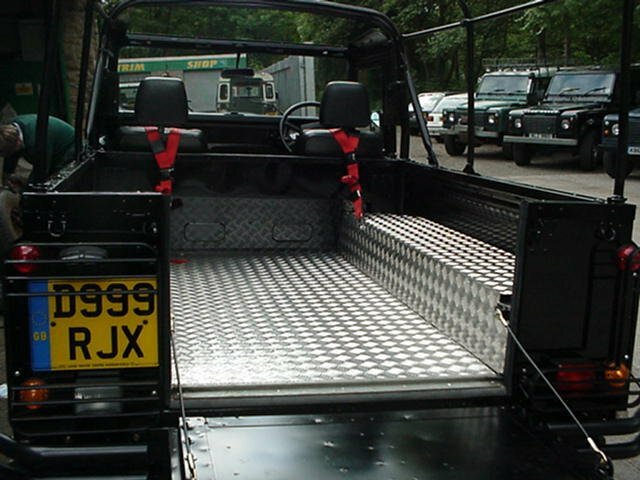 and the chequer plate kit. 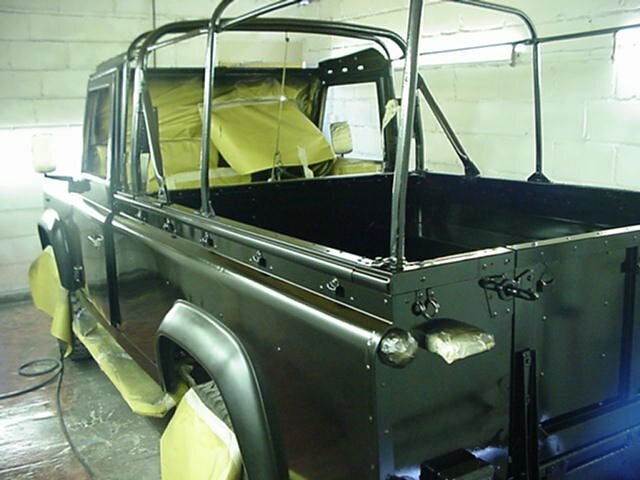 Roll cage, soft top poles and tailgate all in place – ready for the paint shop. 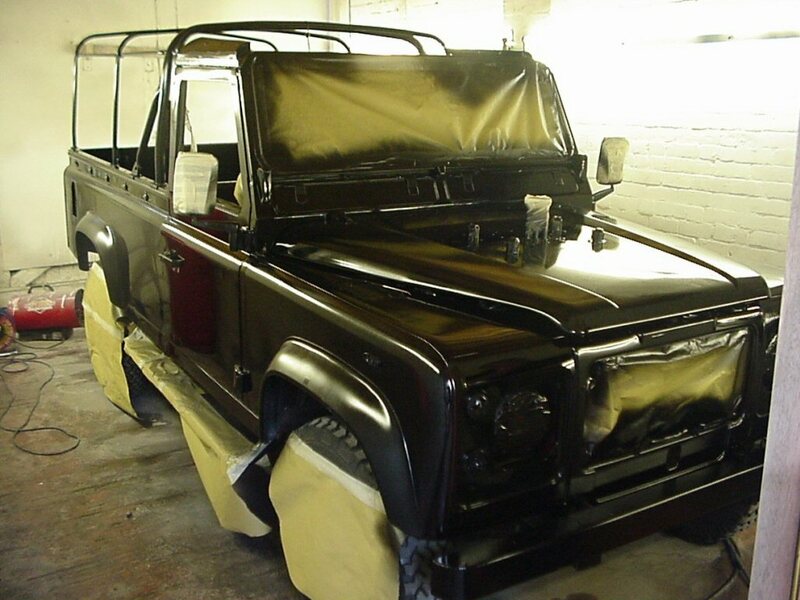 Paintwork finished – now we have to complete the rest of the work. 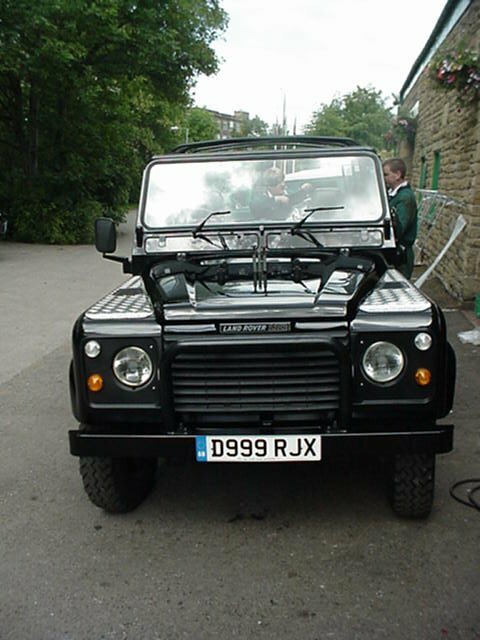 Looking very “Black” and out in the light of day for the first time as “Black Beauty”. 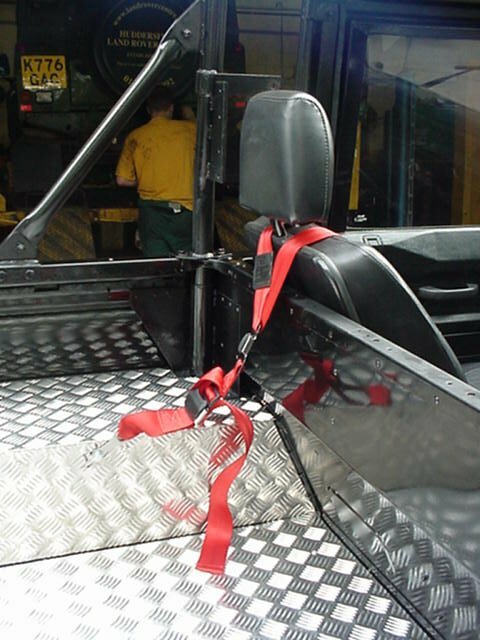 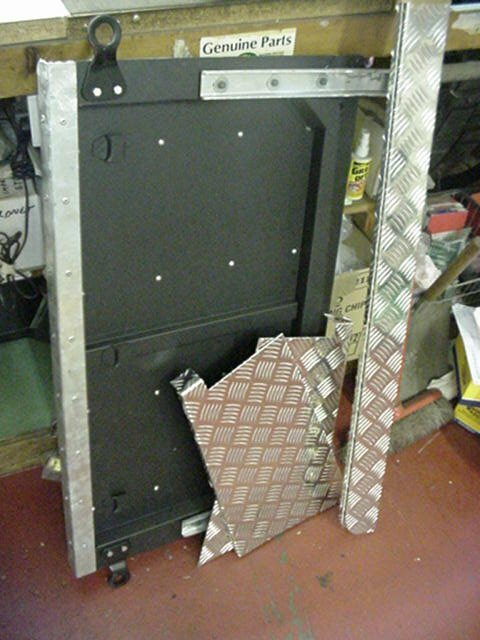 Also chequer plate being fitted in the rear load area, and harnesses being fixed. 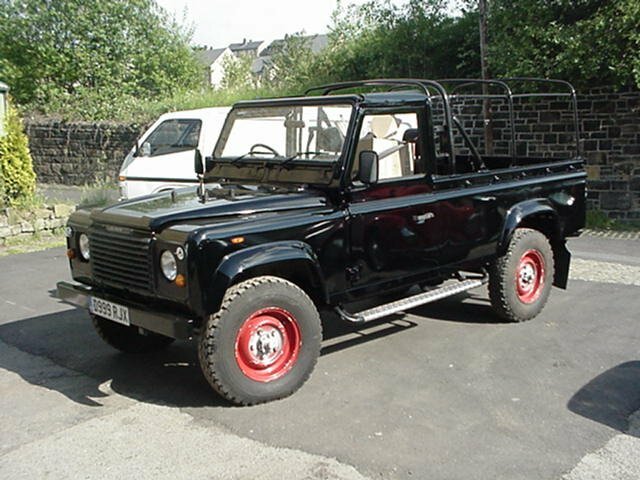 Soft top kit fitted – wheels arrive. 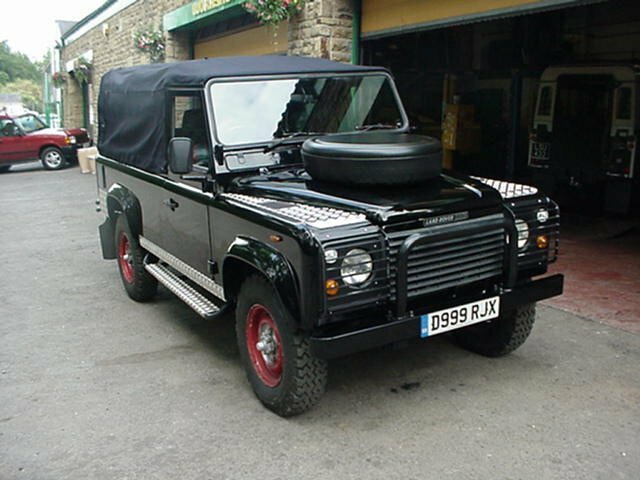 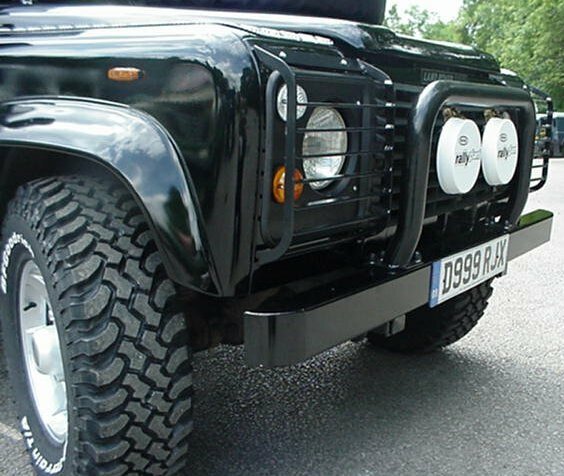 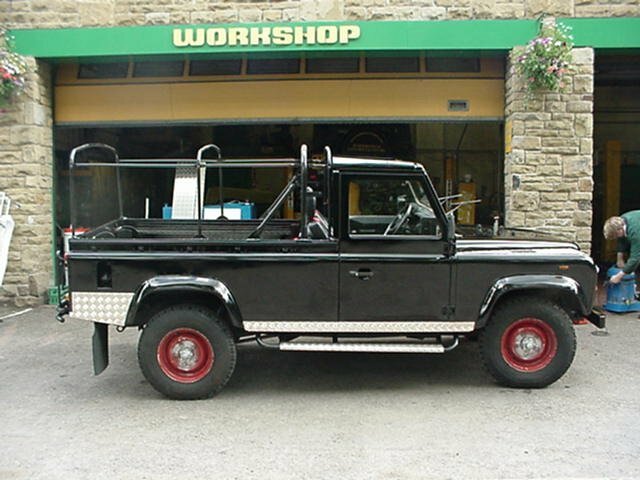 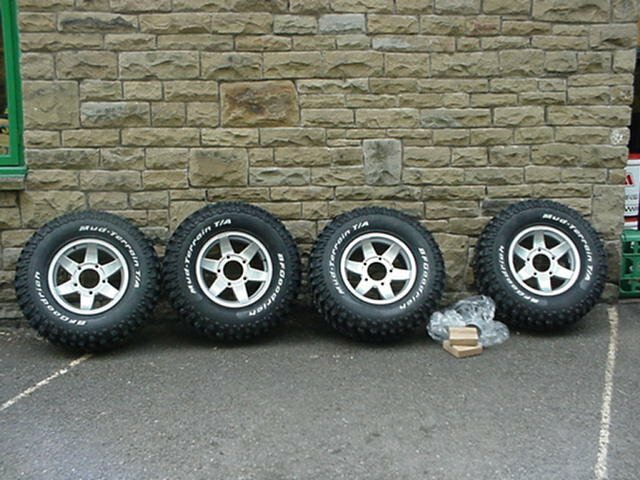 The icing on the cake – Black soft top, and alloy wheels (West Coast Off Road – 01704 229014). 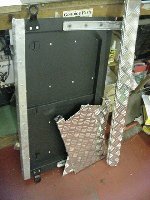 7 days of almost hell – but I think you would agree that the final result is well worth the blood sweat and tears. 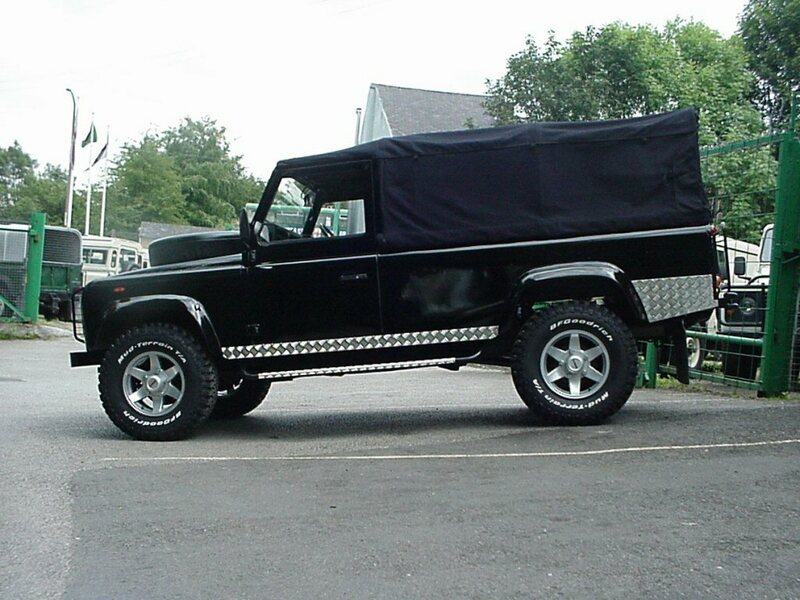 She looks fantastic. 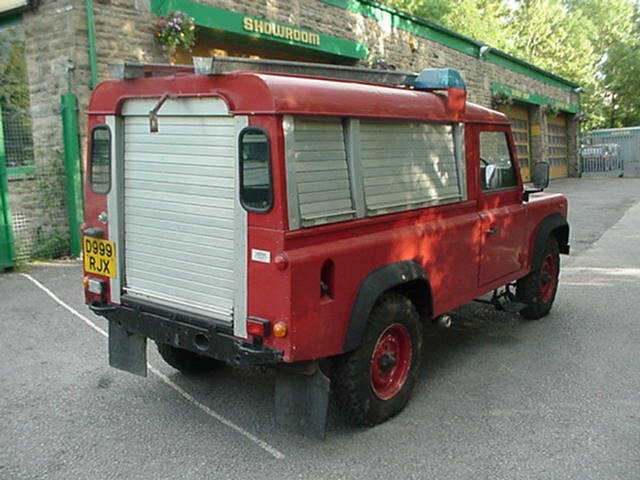 Hard to believe that just a week ago she was still a fully operational fire engine ! 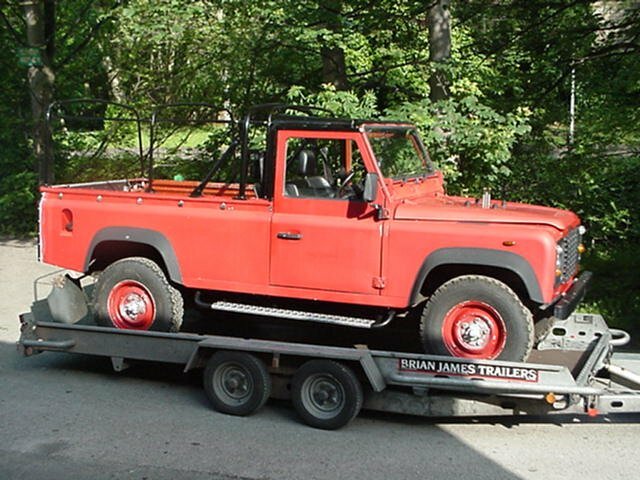 Final picture – she’s all loaded and ready for the road trip to Scotland – to meet the ferry to take her to one of the islands ready for her new role on TV.